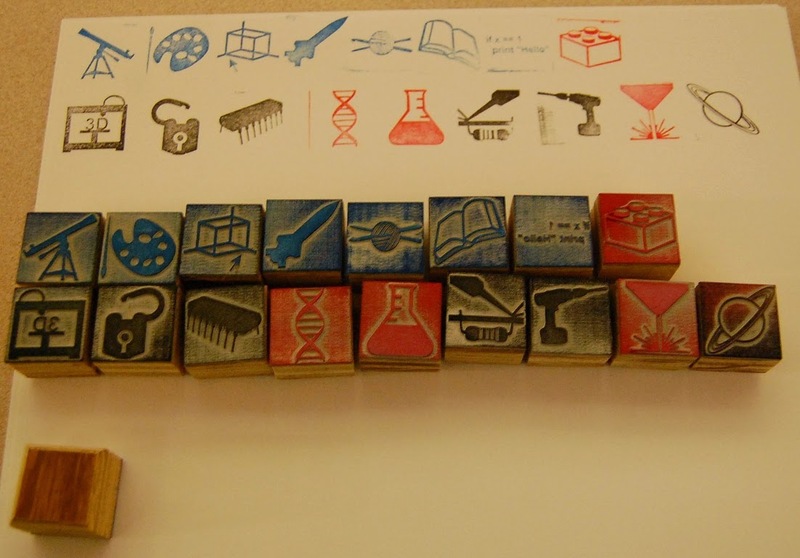 I've been working on some Maker / STEM stamps. There are finally enough of them made that I can really sow them off. These are rubber stamps that I'm engraving on the Laser at HeatSync.